Do you remember the first coach you ever had, or the best coach, or the funniest coach?? Many of us do and it stays with us a lifetime. The commitment and dedication of TPLL coaches is the most important element in creating a rewarding and memorable baseball experience for our players. 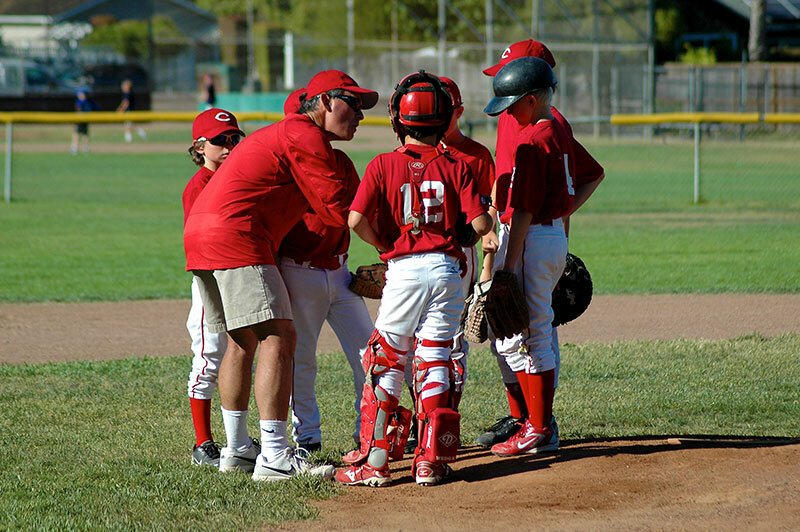 More than any other adult involved in Little League, the player’s coach defines the child’s experience. Why Volunteer? If you love baseball and enjoy working with children, there’s probably nothing more rewarding than to spend a season coaching a team of youngsters. Not only do you have the opportunity to teach skill and watch the players develop, you have the chance to teach the importance of teamwork, attitude, spirit and personal best effort. Coaches form new friendships with other coaches and parents in the league and benefit from a lifetime memory with your own child. The commitment levels depends on the age of your child. At the youngest levels — Tee Ball and Farm– it’s one 60 minute practice and a 3 inning game each Saturday. As the age level advances, there are additional midweek practices and games, usually in the early evening. Teams usually have a single head coach and two or three other Dads and Moms as assistant coaches. We’ve never had a parent say they regretted making the commitment. TPLL places great emphasis on training coaches. We run training sessions where we demonstrate different drills you can teach and discuss ways to approach coaching young children. We can also share links to coaching resources and offer a sounding board comprised of the scores of other parents who’ve been coaching for years. You’ll have plenty of help. Ready to volunteer and have the time of your life? You can volunteer to coach when you sign your child up. Alternatively, you may email the commissioner of the League for which you wish to Coach. Please note that TPLL requires all coaches to go through a simple no-cost, background check. TPLL is the Tiburon Peninsula Little League serving the Belvedere, Tiburon and Strawberry communities.